Often the first thing one thinks of when they think of chamomile is tea. Indeed, the small daisy like flowers are often dried and brewed as if a tea. Chamomile has a long history as an herbal medicine and remedy. In gin, chamomile often expresses itself with notes that resemble the herb as a tea. 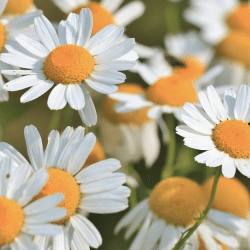 Chamomile has a tropical, fruity floral smell that some say is redolent of apple and hay.